I Dare You Not To Read The Walls at Molly's Diner. 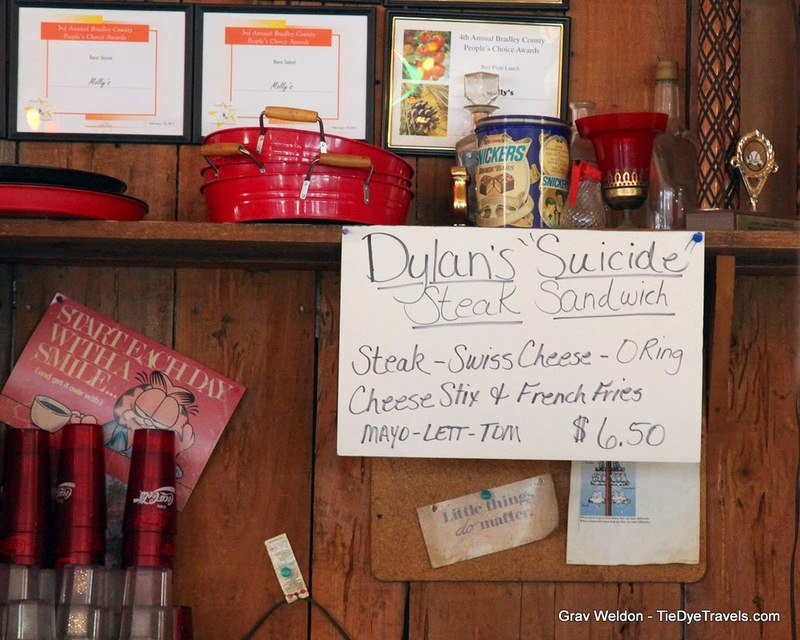 Back in the 1960s, 1970s and 1980s, there was a certain kitsch that cropped up in restaurants all over the United States -- places where every sort of memorabilia was placed helter-skelter on walls, posts, sometimes even ceilings. 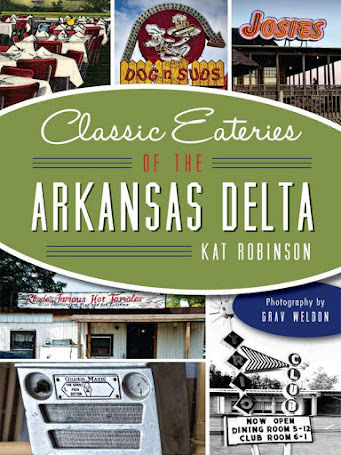 Some of these, such as Feltner's Whatta-Burger in Russellville, became famous for the changing displays. There's even several chain restaurants today, from Cracker Barrel to Applebee's, that continue to display "flair" and antique pieces along their walls to fill space and "create atmosphere." 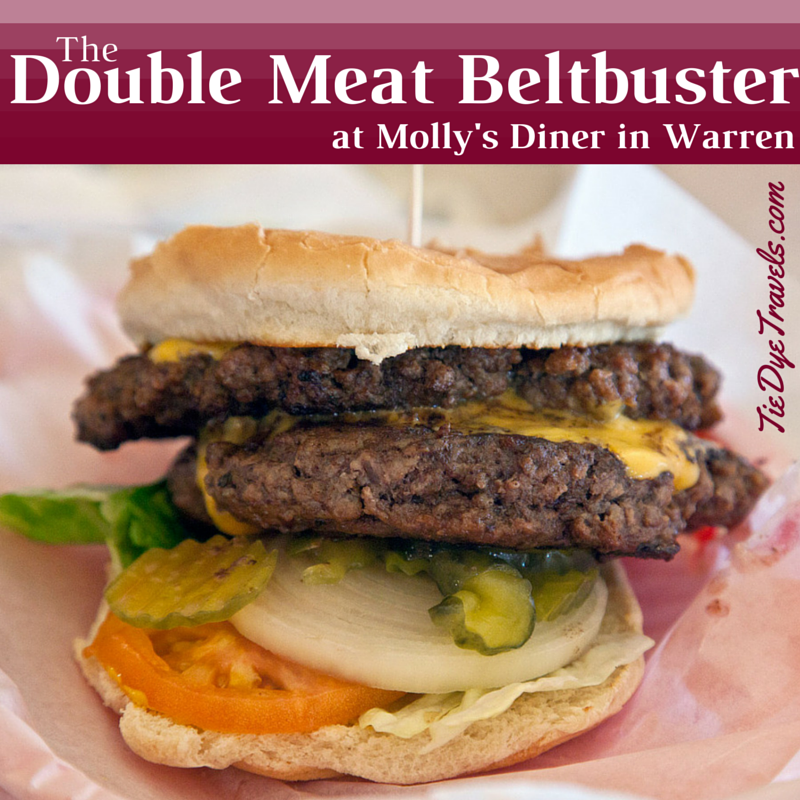 Molly's Diner in Warren doesn't need an atmosphere created. 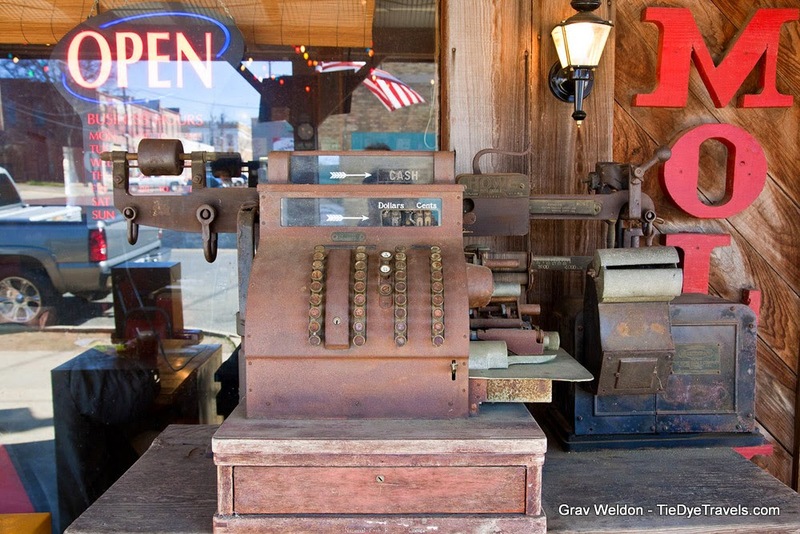 From its well worn, irregular floor to its ancient rusty barstools, from wood-backed and seated booths to mismatched tables and chairs, it wears its heritage on its surface. SIGHT). Indeed, no politically correct self-appointed policeperson has apparently come through the old building's doors in all its time standing two blocks from the brick-paved downtown square. The clientele witnessed on our recent visit may have suggested or even brought in some of the posters and stickers that deck the walls within. We were, after all, the youngest of those dining this particular afternoon. I attribute that to the time of day (1:15 p.m.) more than to the local population. Molly's Diner has been on my get-back-to list for three years now. 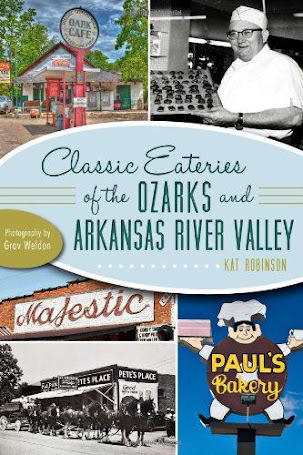 Mentioned in the pie book, the day job and work on the two subsequent tomes we've managed to get out have kept me from Bradley County's rolling hills. 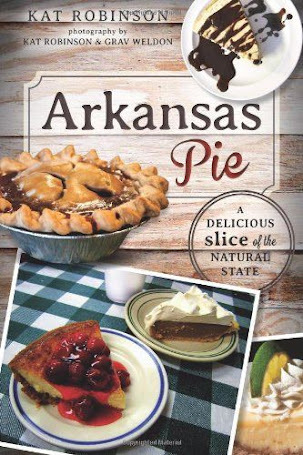 The famed pies greatly represent our state's love for the pastry-clad filling-packed vessels we love so much. That wasn't why we came to Molly's this time. 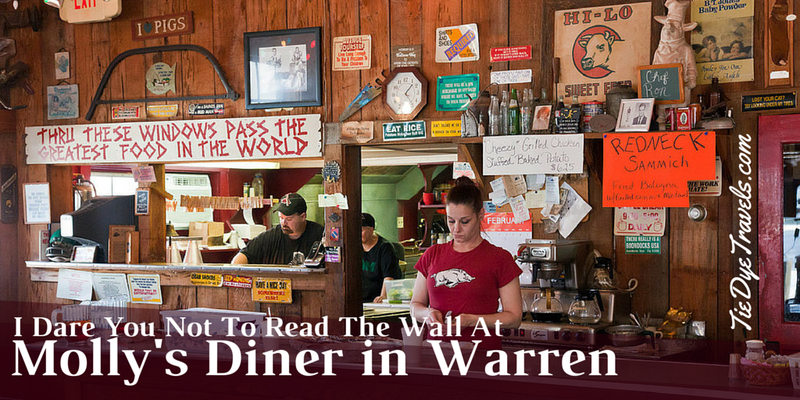 We came to make sense of a wall full of suggestions (the food based ones, not the humorous or profane ones) and a menu packed with so many things, including a history of Bradley County. Helpful. 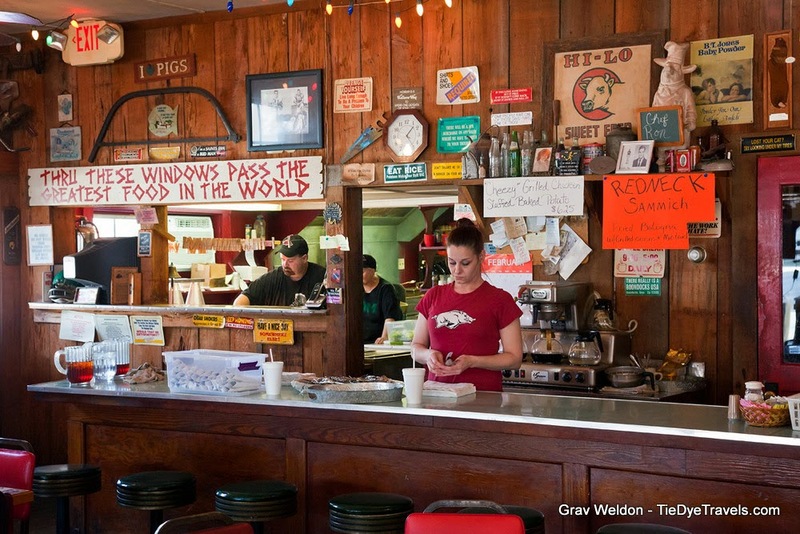 Our waitress directed us to sit where we liked, and after attempting one seat particularly perched at an angle that had me almost fall over the back of my seat I moved around to the far side of the table I shared with photographer Grav Weldon this chilly February afternoon. She asked if we were interested in one of the lunch specials, which included a Mexican plate (a crispito covered in chili and cheese, a taco, chips and dip and a small salad), country fried steak or beef tips with mashed potatoes, snap beans tossed salad and a roll -- or if we'd like to peruse the menu. That's what we chose. 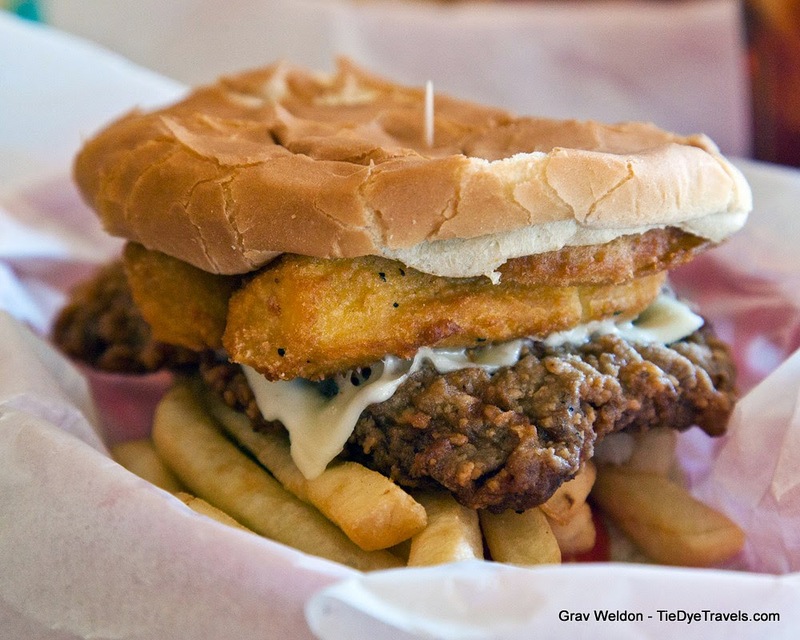 Said menu is full of its own cryptic glory, with suggestions of Mother's Chicken Salad Sandwich, 15 different burgers and a Suicide Po'Boy, in ham or chicken. Wait, what? "It's the owner's son's thing," our waitress told us. "He came up with different sandwiches." I noticed over her shoulder another description on the wall for Dylan's Suicide Sandwich, which included country fried steak, Swiss cheese, fried cheese sticks, onion ring, fries, mayo, lettuce and tomato. It was next to a sign called the Redneck Sammich, advertised as a slice of fried bologna with grilled onions and mayo. Dylan's creation sounded like a Fat Darrell, a creation I learned of years ago while watching CBS Sunday Morning -- a combination of fried cheese sticks, chicken tenders and French fries created and often ordered by Darrell W. Butler, a student at Rutgers University for whom the sandwich was named. This sounded like a challenge I should at least attempt. Grav, on the other hand, eyed the 15 burgers on the menu and settled on a Double Beltbuster, a two-patty construction declared "really big" by our waitress. After all, that'd take care of lunch and dinner, and maybe breakfast for us. We relaxed and talked shop while our meals were prepared, as evidenced by views through the open window to the kitchen, over which a sign clearly stated Thru These Windows Pass The Greatest Food In The World. A city policeman sat taking lunch with another local gentleman. When they left, they were replaced with an octogenarian who quietly chatted across from his booth to a table behind us with two similarly aged ladies of good humor. Under the old fashioned large-bulbed Christmas lights tacked to the restaurant's ceiling, time moved slowly. It could have been 2015 or 1985, no matter. For a few moments, as I sucked on tea and fiddled with the settings on my camera, I wondered if such galacial pacing would also affect service. curiosity over what we were doing. We admitted our professions as writer and photographer and kept on, the ladies at the table behind us lightly cackling with a "that explains it." 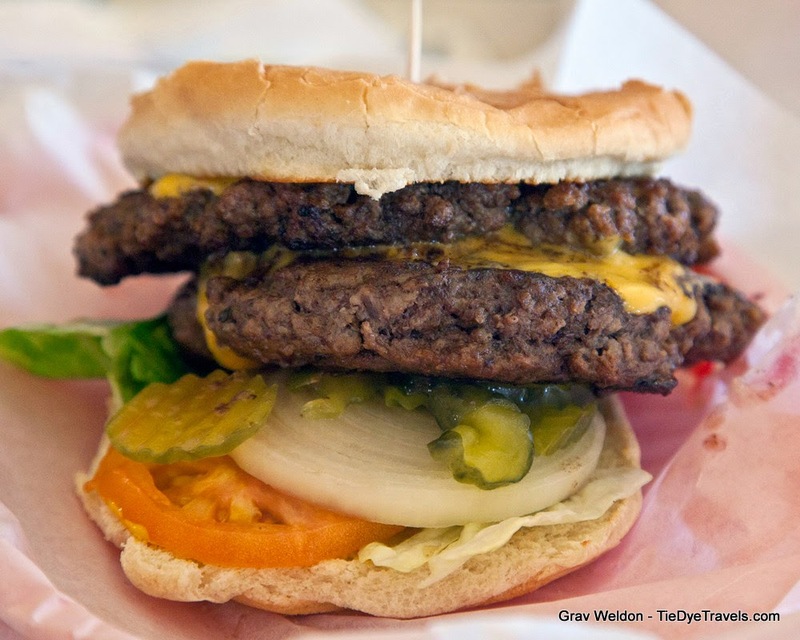 thick, glued together with cheese (which is optional) and completely overwhelming everything else on the bun. 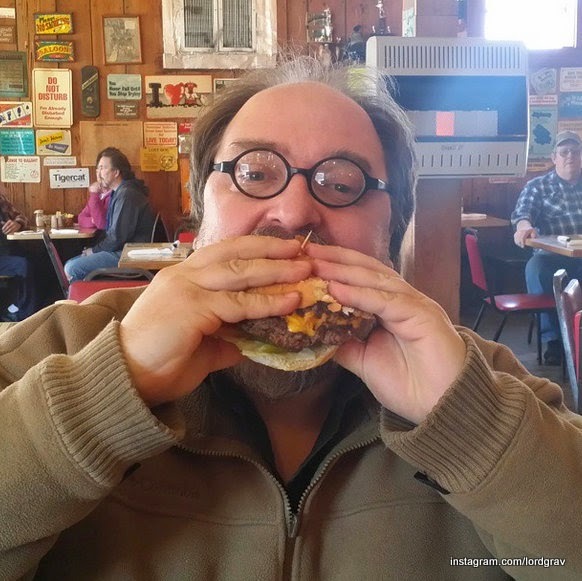 It was lightly spiced and came bedecked with mustard and pickles on the bun along with the lettuce and tomato and onion ringlets, and as we shot away the bun started its light disintegration. Mine took a moment to visually digest. Yes, it appeared brown and fried. sandwich, when I sat down the two thirds that was left, the imprints of my puffy paws were left behind as marks of the beast that tried to consume the monster. a nature that would not reheat to the original satisfaction, that I would likely not choose this one again unless shared with a partner. That partner, obviously, has to chose it over one of the 15 burgers on the menu. Oh, that menu's below, by the way. housemade potato chips, from the extraordinary ones at EJ's Eats and Drinks in downtown Little Rock to... well, let's not ruin any appetites today. 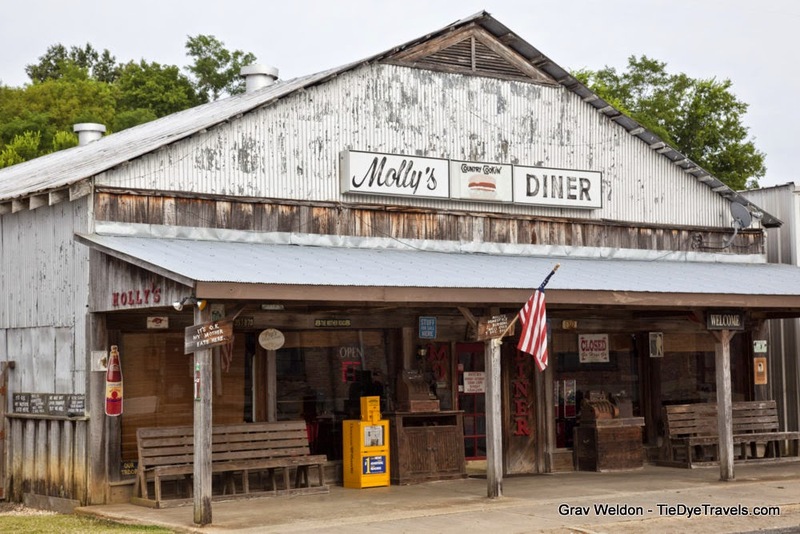 Molly's does something all the others do not. They fresh-fry the chips on order, and they're thick, fresh potato slices... so the insides are still French-fry smooth while the extra surface still gives the satisfying bite of a good potato chip. Seasoned only with salt, they were satisfying and simple. Of course, the repast and prying eyes around checked our modesty, and we decided to forgo a slice from the handwritten menu of half a dozen pies. They'll be there next time, though, and them pie will be mine. The next time, though, we'll come for breakfast. And it won't be three years. 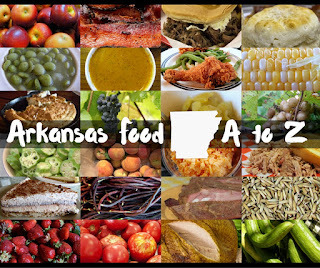 Indeed, I believe we'll return in June, when the season's first tomatoes are celebrated at the world-renown Bradley County Pink Tomato Festival. Until then, I shall dream of that homey, humble space and consider the possibilities of 14 other burgers, breakfast platters and the kinder and less profane suggestions on the walls. Glad you came to Warren and experienced one of our local treasures. We look forward to having you in June. How nice to read about Molly's. I'm a Bradley County native but I live in Carroll County now (you and I met awhile back at Caribe in Eureka Springs). 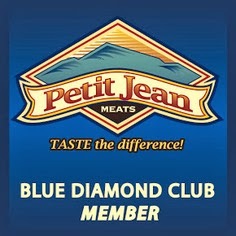 I recommend their hamburger steak w/onions and gravy and banana puddings. Those are my standbys. 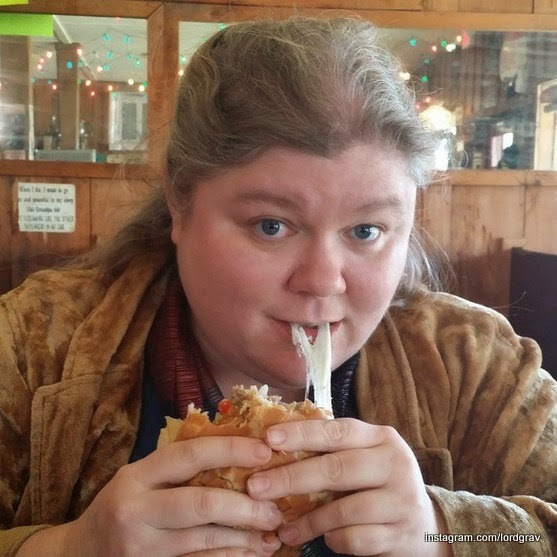 Thanks for writing your blog...I enjoy learning of great new places to eat, especially as I learn my way around Northwest Arkansas.